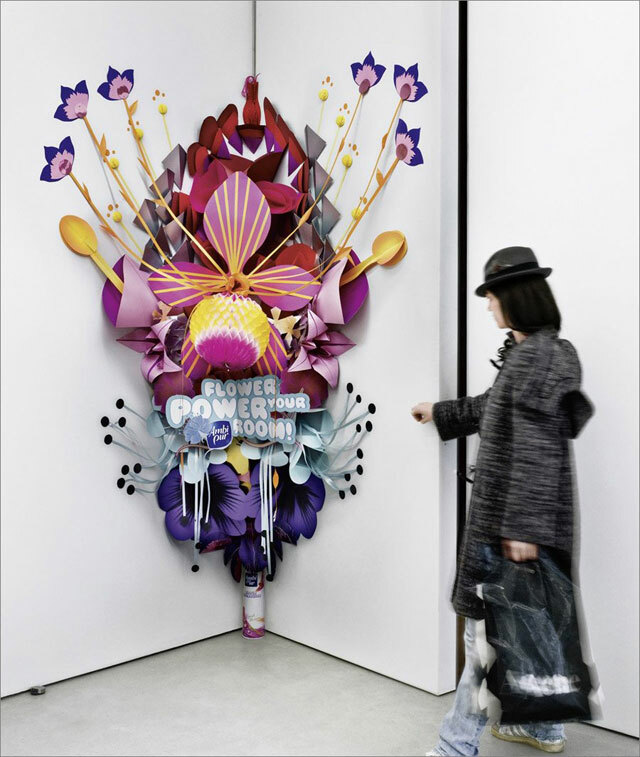 A new and creative way to not only to make a place more beautiful, but attract customers with a colourful, well-designed, big flower flip-up has been created by Jung von Matt Matt/Stuttgart agency. This may remind you of flip-up books from your childhood. 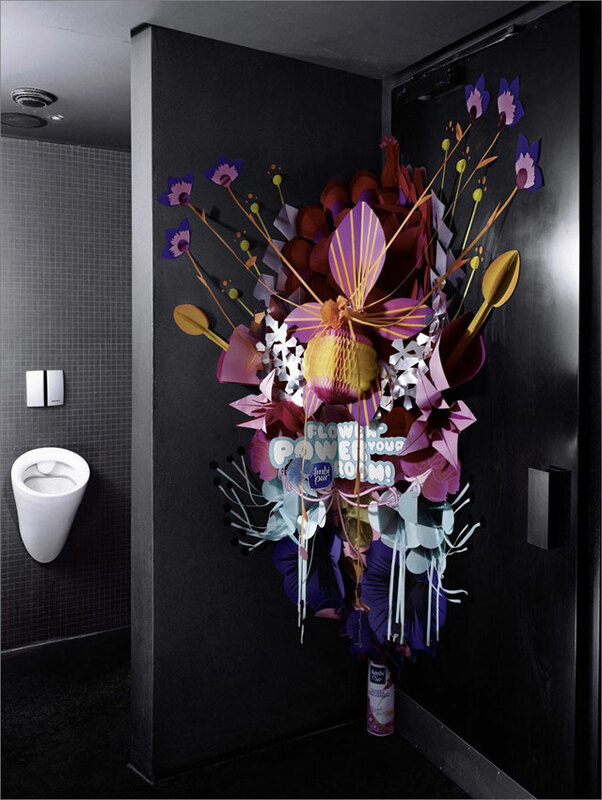 The creative idea itself is quite well tailored for public restrooms and toilets, because the flowers (that are symbols of Ambi Pur) absorb different nasty odours and add a spicy and refreshing fragrance to the place they are installed in. There certainly is a peculiar surprise element here. 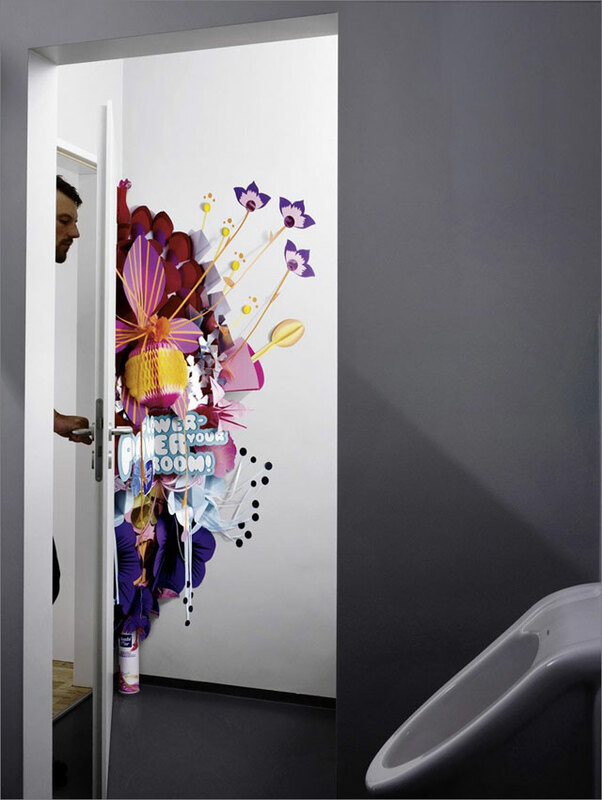 The flower flip-up can pop out whenever one opens or closes a door. Pretty fancy, isn’t it?